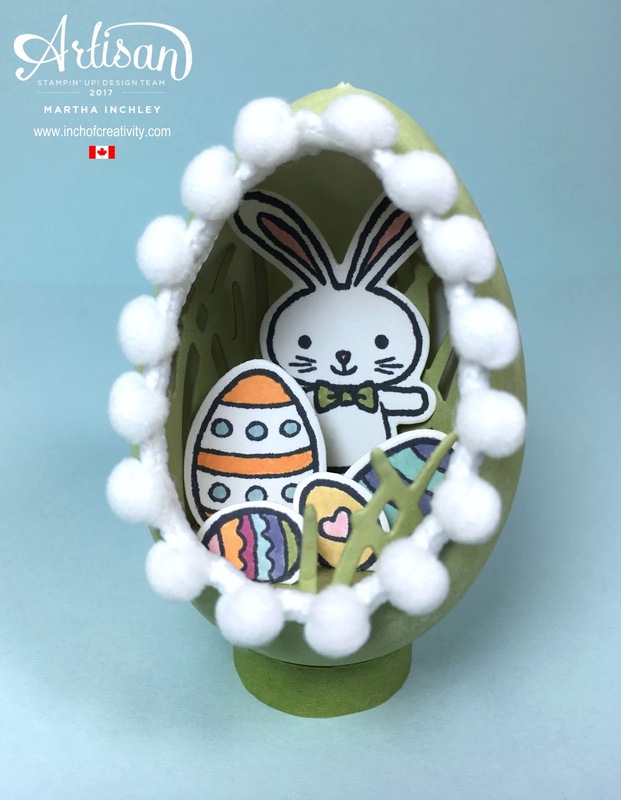 Inch of Creativity: Time for Easter Crafting! I’m really excited that Easter is in April this year. Why? Because it means more time for Easter crafting! I don’t know why, but I absolutely love Easter (even more than Christmas)! Maybe it’s because my birthday is in the spring, or it could be the craftiness of egg painting—or it might even be the challenge of finding every last hidden egg. I don’t know. But either way, it’s fun, colorful, and makes me happy. Before Valentine’s Day was even over, I had a ton of ideas for the Basket Bunch Photopolymer Bundle (item 144731). The Basket Bunch Stamp Set (item 143186) is absolutely adorable and it just screams “Design a scene with me!” It really does! 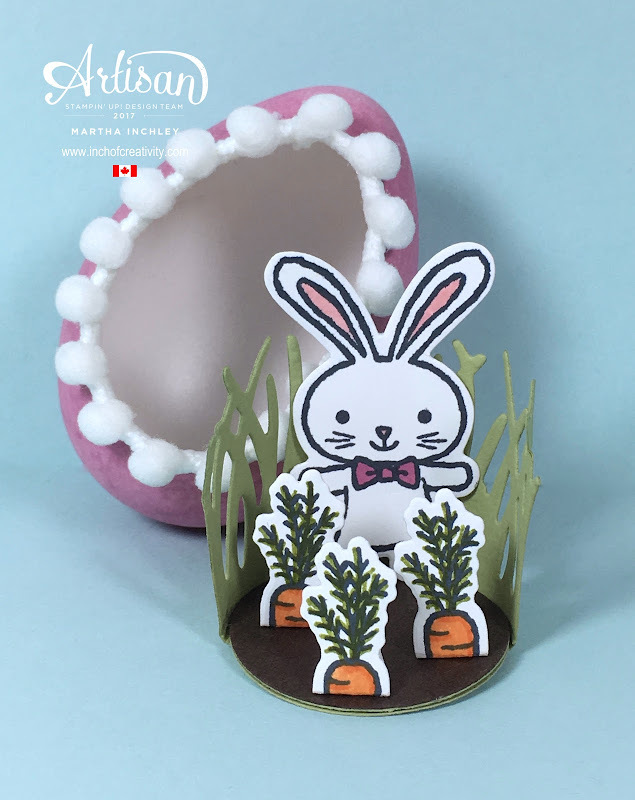 So I couldn’t resist and decided to make little Easter egg dioramas. Now, before you get too excited, I have to say: I used fake eggs. They don’t break (they actually bounce, if you really want to know), you can cut into them with scissors, and oh yeah, there is no messy center to deal with. So it was the obvious choice. 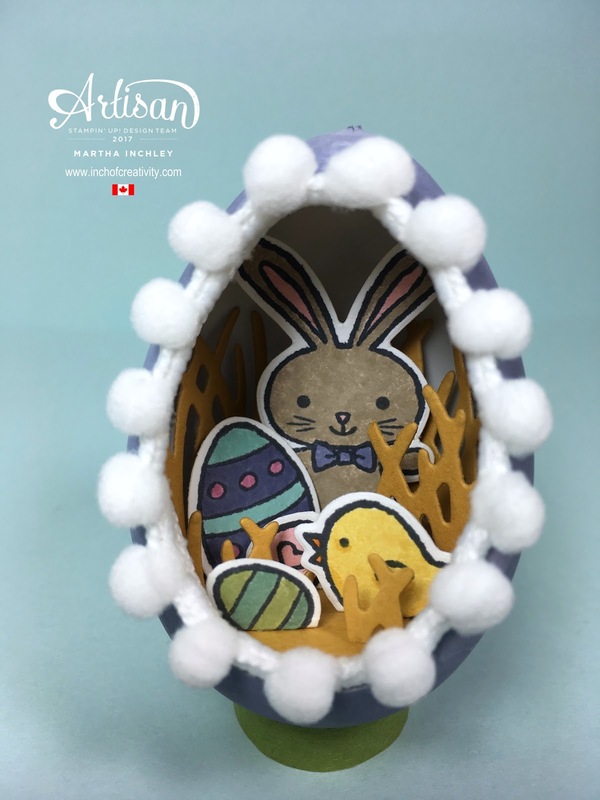 They’re called "DIY Easter Eggs" or "Plastic Decorating Eggs" and you can find them pretty much anywhere Easter stuff is being sold. * EDIT: March 24, 2017. Here is a picture of the type of eggs I used. Mine had a different name (DIY Easter Eggs), but the label and packaging, were essentially the same. To begin, I drew a “window opening” on my egg, poked a hole with my Paper Piercing Tool (item 126189), and cut it out using my Paper Snips (item 103579). To color my egg shells, I simply used the ink pad of choice and a Sponge Dauber (item 133773) to rub it on the outside. I let them dry overnight. Now, you’re probably thinking that designing inside an egg is pretty tedious and if I had to guess, I would agree. You see, I didn’t design or assemble my little scenes inside the egg. I designed everything on a cardstock circle, punched using the 1-1/4" Circle Punch (item 119861). Once my design was complete, I placed the scenery (bottom first) into the egg and turned it. I love all the different images in the Basket Bunch Stamp Set and the coordinating Basket Builder Framelits Dies (item 143228)—which make it quick and easy to cut them out. The possibilities are endless with this bundle. You can have a bunny in his carrot garden, a basket of flowers, or even little chickadees hanging out at the farm. 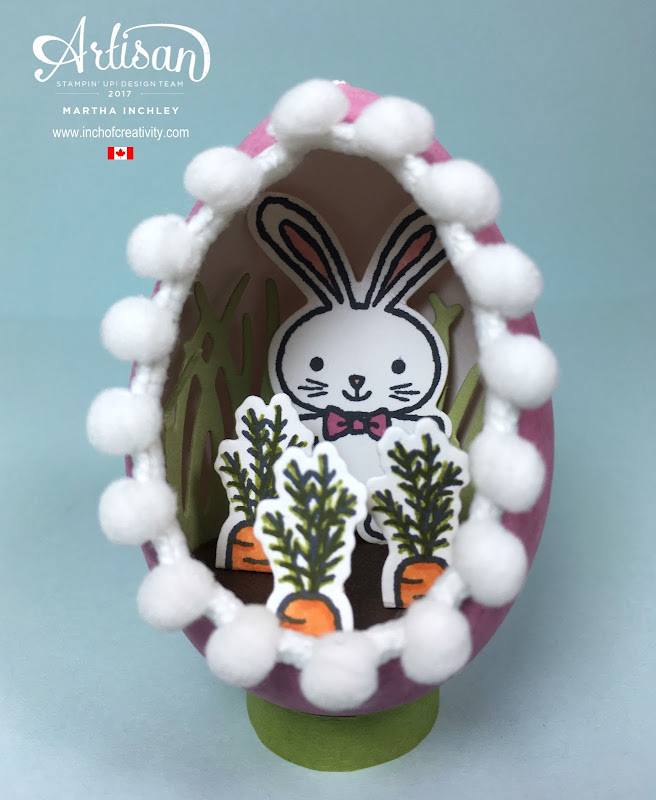 To finish off my little egg dioramas I added the Whisper White Mini Pompom Trim (item 141486) to the opening. This trim is absolutely perfect to complete the look. Thank you for joining me today and Happy Easter crafting! Thanks Tracy! I've edited my post to include a picture of the type of eggs I used. They are plastic decorating eggs. These are simply adorable! 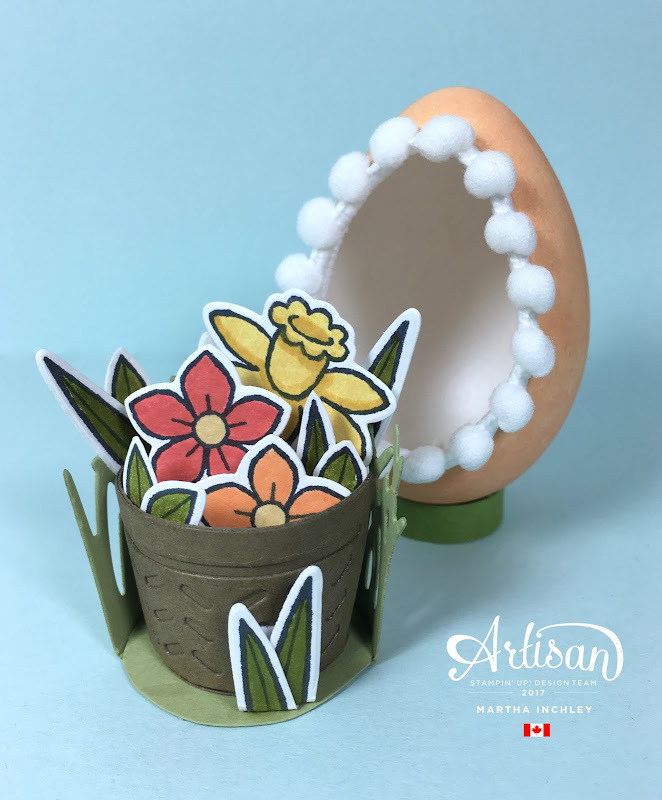 I have the urge to run out and get those little eggs and completely scrap my idea for tomorrow's workshop! LOL So cute! Thank you for sharing. Maybe after the workshop I'll go shopping! Those are so cute! 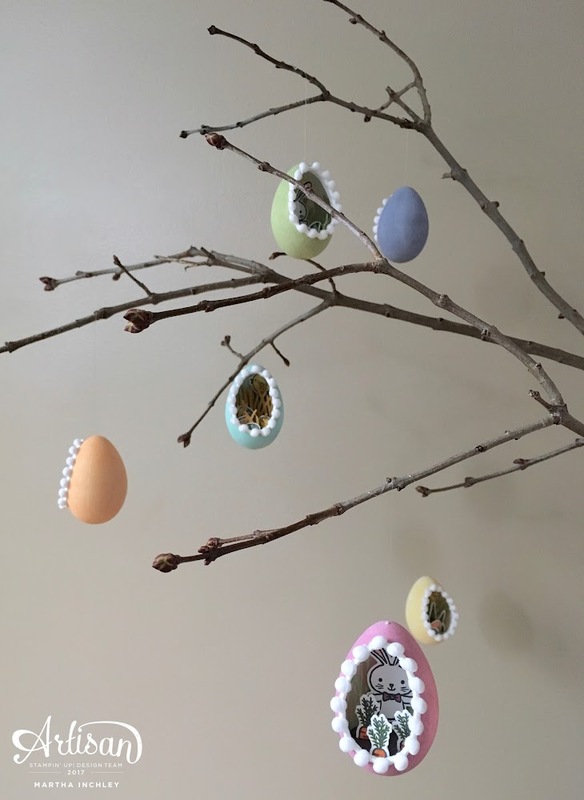 Almost every year I have blown out the insides of eggs so the kids and I could make an Easter Egg Tree. So fun, but this looks even better. And they can be saved for next year lol. I would love to know what kind of eggs these are... What are they called? Thanks Margrethe. 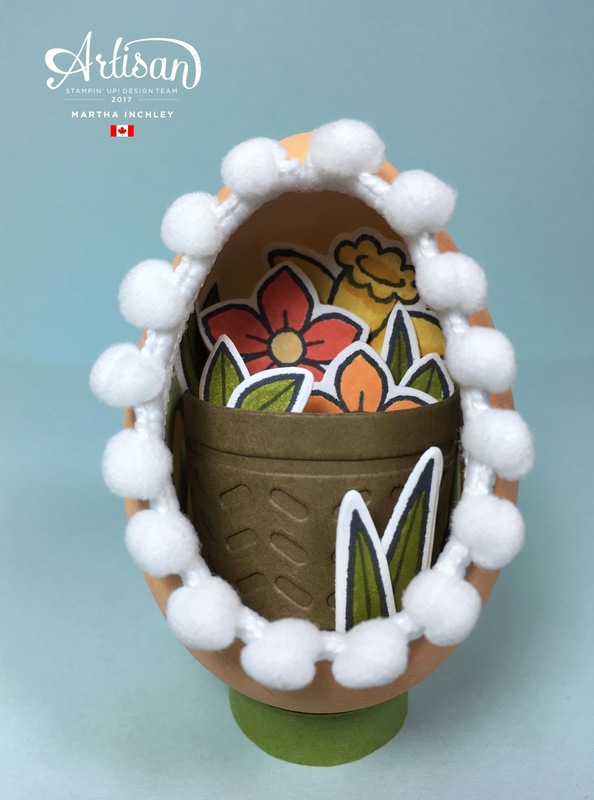 They are called Plastic Decorating Eggs, and YES, they can be saved! I've edited my post to add a picture of what I used :) Happy Creating!